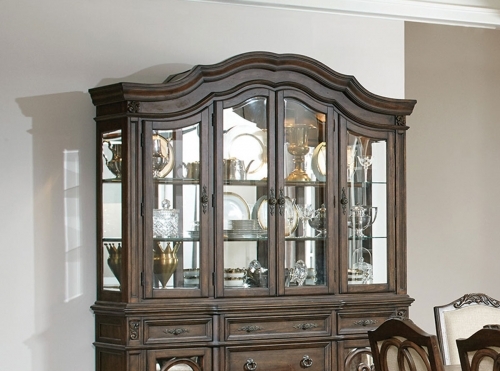 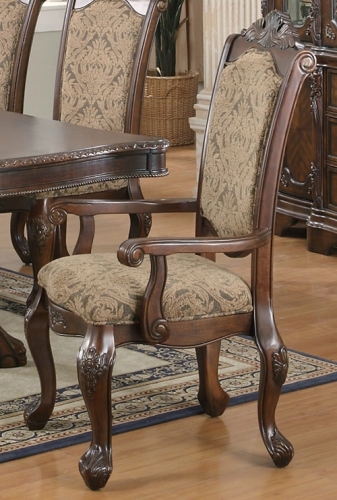 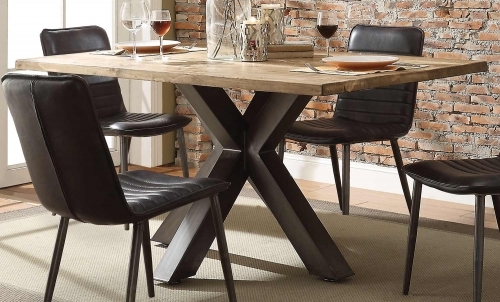 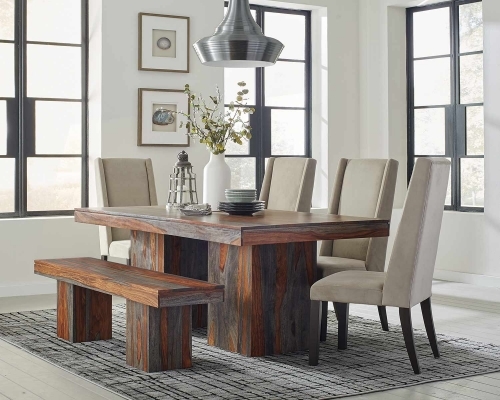 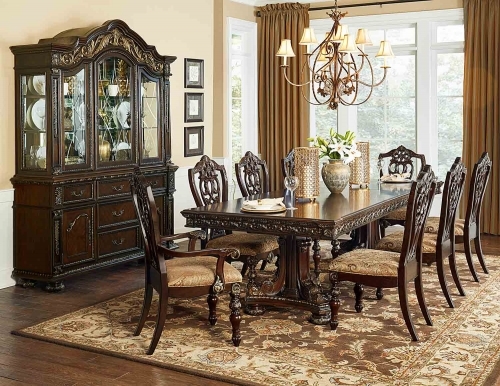 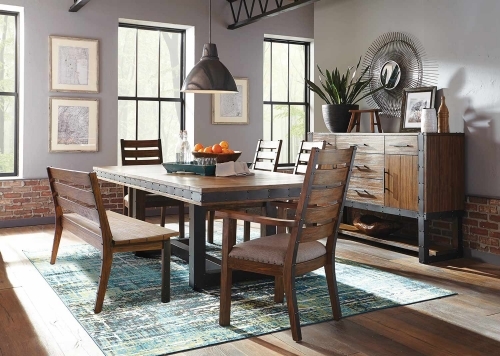 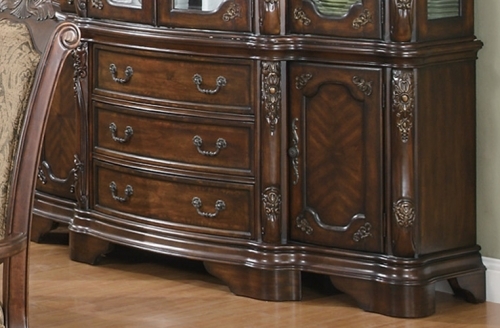 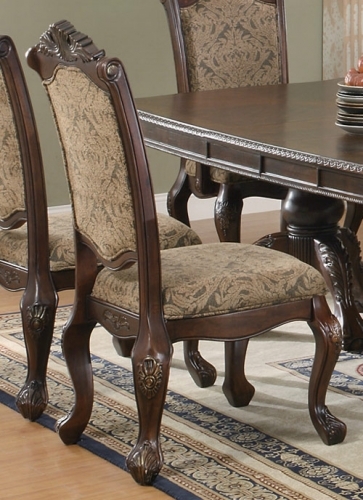 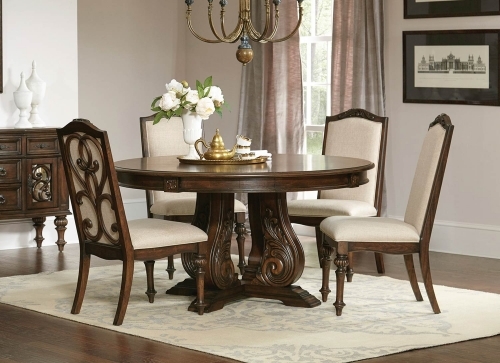 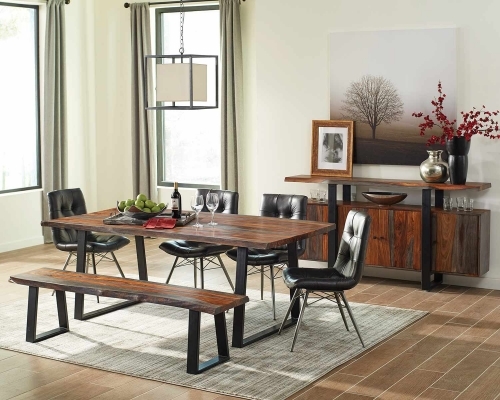 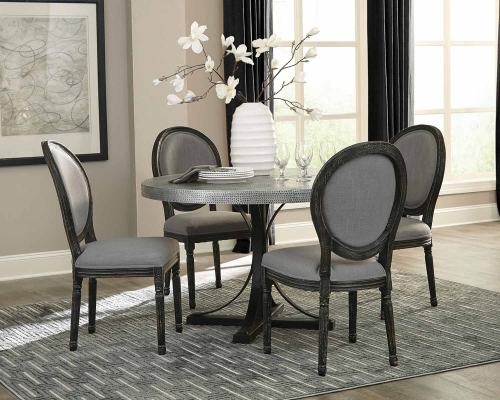 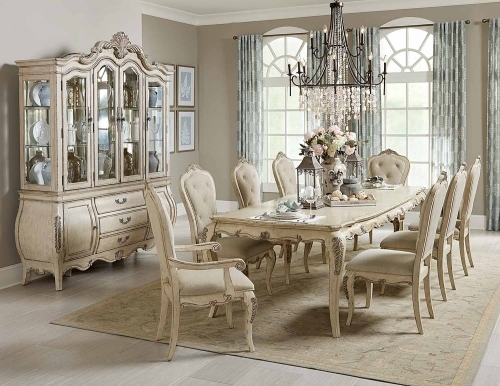 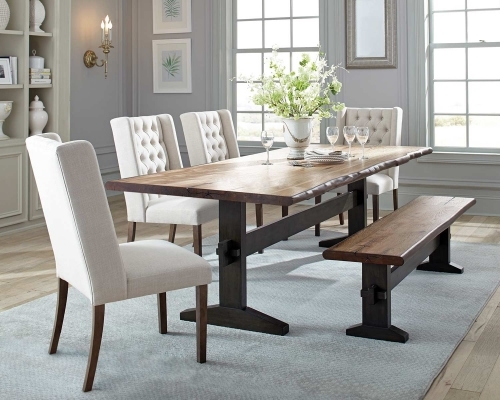 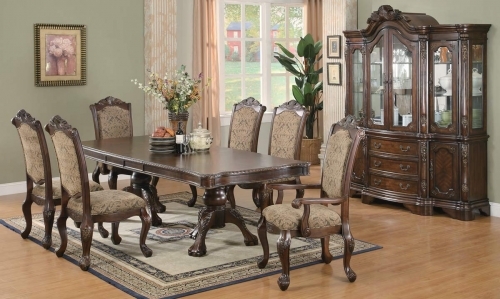 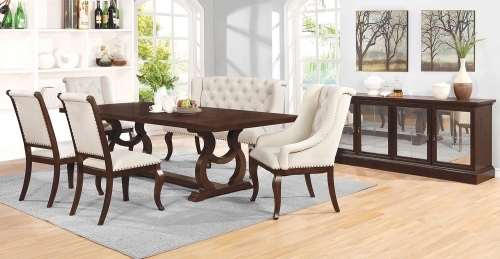 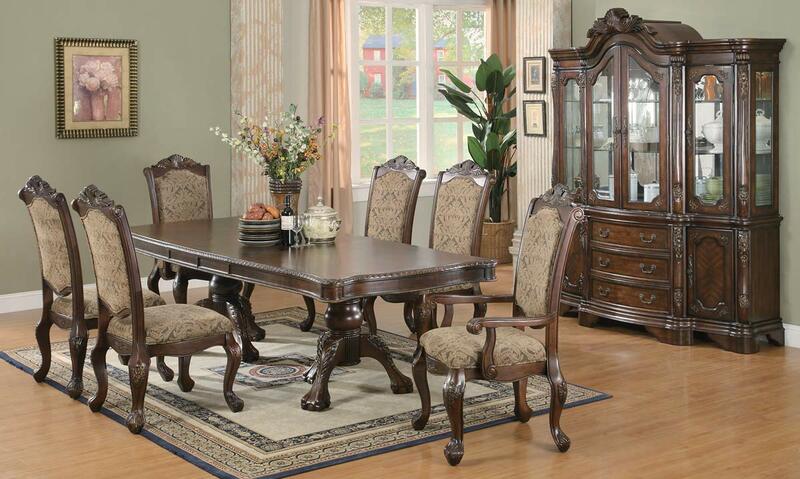 The impressive Andrea dining collection features rich carvings and fine accents. 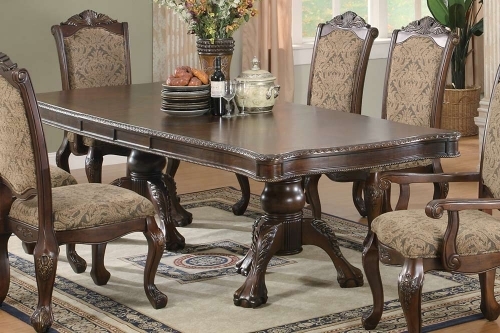 This large table group features a double pedestal table base and leaf that extends to table to accommodate extra guests. 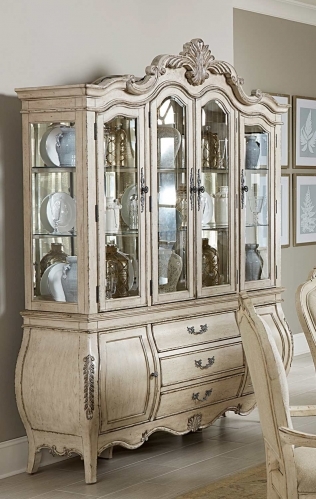 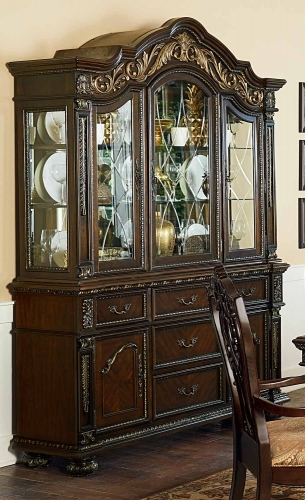 Matching china cabinet features storage drawers and cabinets with accent lighting on the top. 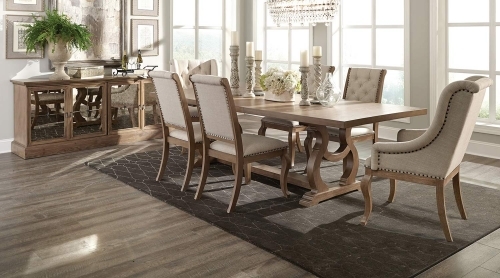 Crafted from poplar solids and cherry veneers. 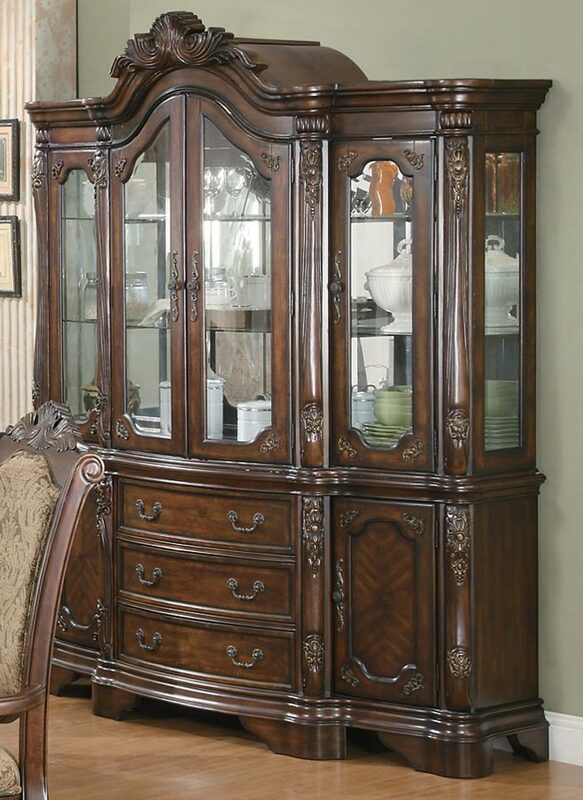 Finished in a brown cherry tone.